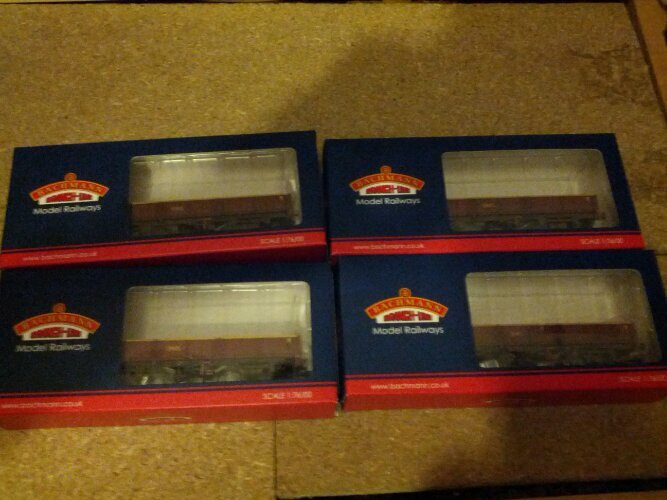 One of the most important things that a model railway needs is the actual rolling stock to run on it. 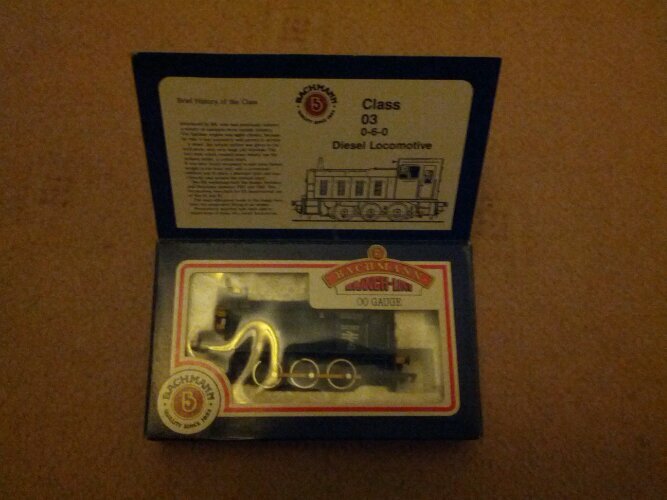 So what better to do a blog post about than the trains that I’ve got. However it was only when I came to start putting this post together that I realised that I only have some of my more recent additions about – the rest are still at my parents house. So for the time being here is a post of the trains that I have at home. At some point when I have all the stock then I probably need to add an actual page to the site with them all on, however for now here is a quick overview of some of what I’ve got to play with. Apologies for the photos also – these were taken with my phone. For the proper page I probably need to get them out and photograph them properly….. ideally with a nice layout in the background….!! The first train is one of the ones that I had growing up. While this was not my very first train it was, and still is, one of my favourites. A little diesel shunter is never out of place on any layout. At the point I started planning a new layout then it was the only loco that I brought down from my parents, hence it is included here. 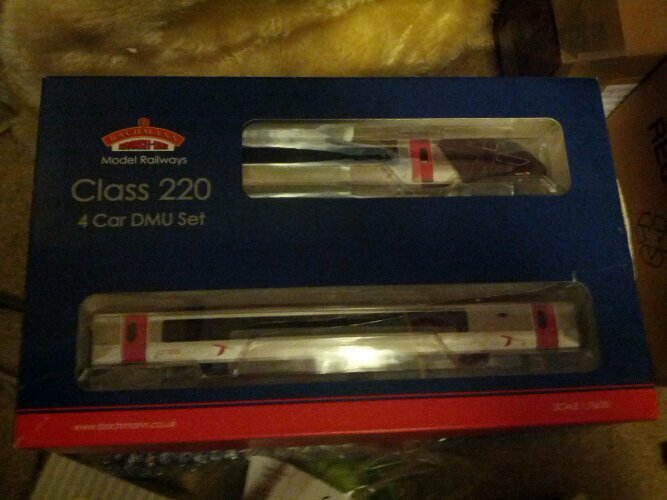 So then come the newer additions which I’ve yet to actually run on a layout….. 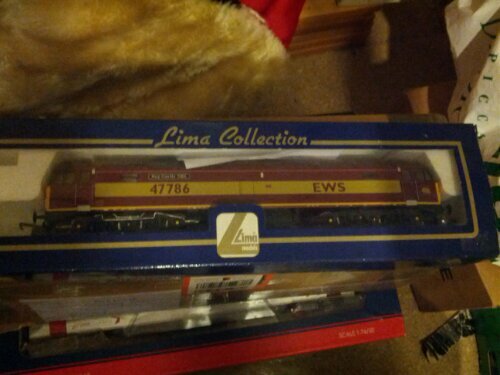 This was an ebay “accident” – I like the look of the class 47’s. They are about the right size and look to my mind, and I’d been looking at them on ebay for some time. The EWS colouring and design caught my eye, and Roy Castle was born just down the road from where my wife grew up, so I fell for this train. The one down side I didn’t realise when purchasing on ebay is someone has tried to start adding some detail by painting some of the underbody with silver paint. This can be seen in the photo on the left hand side. So at some point I may have to look into how to strip that back, or re-paint it in black. It has to be said I purchase trains because I like them, not because I’m going for a particular period or look. The range of modern trains is still quite limited – the speed in which the liveries are changing is not helping the case for suppliers to tool up and make them. The Class 220 were brought in for the cross country mainline, and are the pair to the Class 221 tilting Pendalino trains that run on the west coast mainline. The Class 220 was a special offer from Hattons website, and has the major advantage of not being covered in the Virgin branding that the Class 221’s would have had. These caught my eye as an end of line offer which I couldn’t miss, and “accidently” bought 2 off. They are very similar in style to the trains I grew up with going to school on as they use the standard bodyshell based on the BR Mark 3 design. Also the Northern Livery is nice simple design, and will fit well with the country/town style of feel that I think the layout will eventually have. But why 2 of them? The answer being that in reality often trains are made up of more than one unit. 8 car trains made from 2 x 4 carriage trains, 4 car trains made from 2 x 2 carriages etc. So I want to try making my layout slightly more realistic, so having two of the same opens up options of running them as a 4 car, or have the 2 trains pass each other on the layout. So the two carriage nature of these just fitted with that idea. 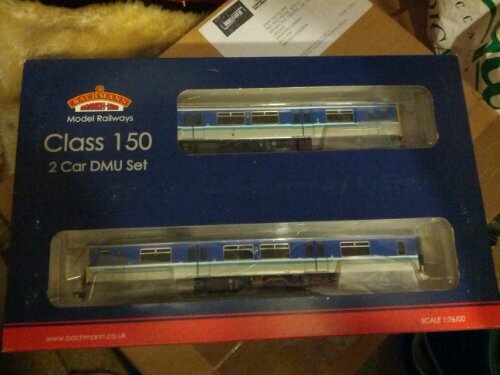 The final nice thing about the Class 150/2’s is that they are DCC ready, so all I should need to do is install the decoder into the existing slot. No soldering or complicated wiring. So once run in these are likely to be converted to DCC running fairly early – the decoder for one of them is ready and waiting! These were a very generous present from my parents-in-laws. The key issue I find with trucks is that you need large volumes to make them work. Having 4 will provide that basis for the start of a good train, and being EWS should fit with the class 47 in terms of livery. Now what I really need is a layout to be able to show them off on! This entry was posted in Model Railway and tagged Class 03, Class 150, Class 220, Class 47, EWS, Model Railway, Trains, Trucks by John. Bookmark the permalink.